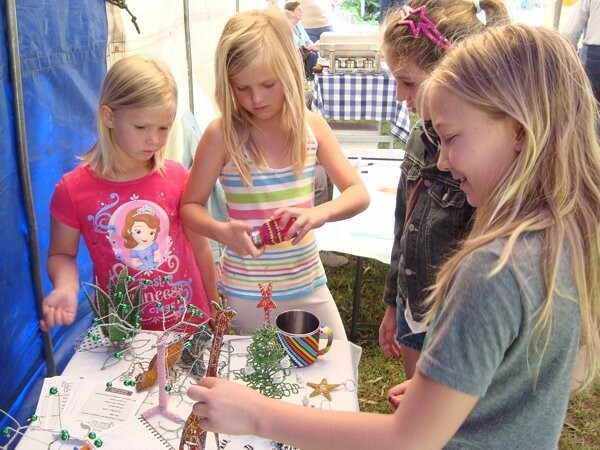 The Friends of the Museum Country Market, held in the Museum grounds on 16th November, was fairly successful, in spite of rain. Rain is so welcome in this part of the world, nobody really minds if it keeps some of the crowd away, and frightens off some of the stallholders! Those who did attend enjoyed perfect weather after some early showers, and Janet Telian's lunch was enjoyed by enthusiastic food lovers. The Dr N B Ngcipe Foundation MTB Race/Fun Run/Walk on 23rd November saw a large contingent walk from Aeroville to the Boschberg Hub; and a few hardy souls did the 10km run, and participated in the two MTB races. 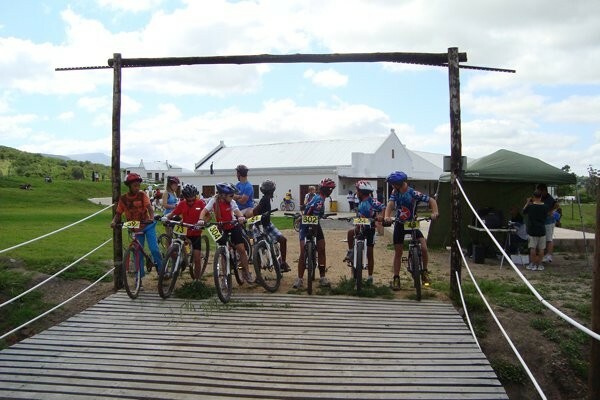 The young van Niekerk family were all there, and the seven youngsters who tackled the 15km MTB enjoyed themselves. The organisers hope this event will grow in the future. In what was very positive publicity for our area, Alan Hobson was featured in Saturday 30th November's Weekend Post, along with the magnificent Rainbow Trout he landed while fly fishing on the Little Fish River. The fish, weighing 6,48kg is believed to be a national record for Rainbow Trout. Alan has contacted several people in the fly fishing world, and so far nobody has reported knowledge of a bigger catch being landed. 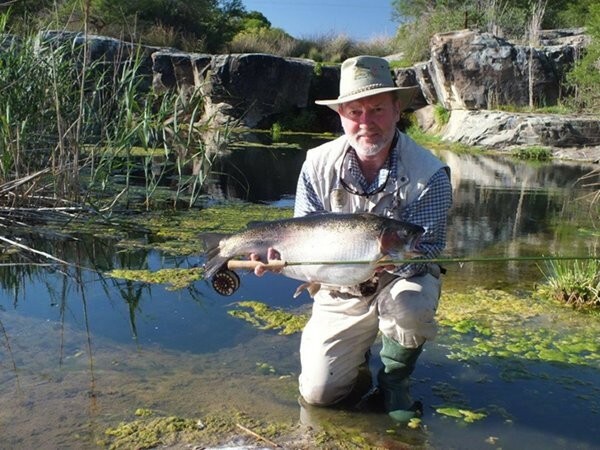 There are several reasons for the Somerset East area having the potential to grow large trout; the waters are fountain fed, seeping from bedrock, and are full of minerals and nutrients, providing an ideal habitat and excellent nutrition for the insect life upon which trout feed. For instance, Dragonfly nymphs grow to over 7 cm. As well, the area teems with an abundance of platannas and other frogs. Each platanna female can lay up to one thousand eggs after good rains, and the hatched out tadpoles provide rich pickings which are easily caught by the trout. Alan is a registered Fly Fishing guide, and has organised several Fly Fishing events in December, which will attract a lot of visitors to our area. Fly Fishing indirectly contibutes more than R2-million to the economy of the Blue Crane Route municipality. 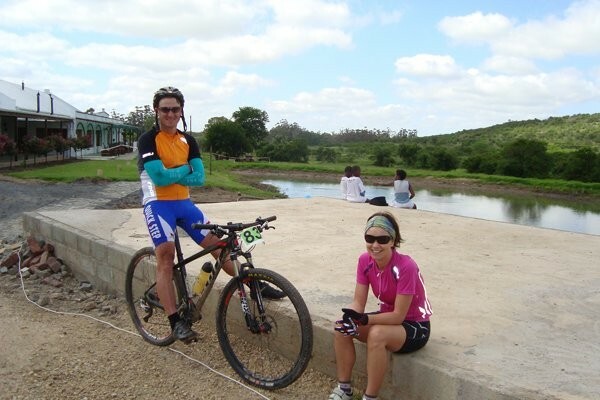 Along with the activities available on the Boschberg Trails, it provides a great deal of outdoor physical activity for individulas and families holidaying in our area.